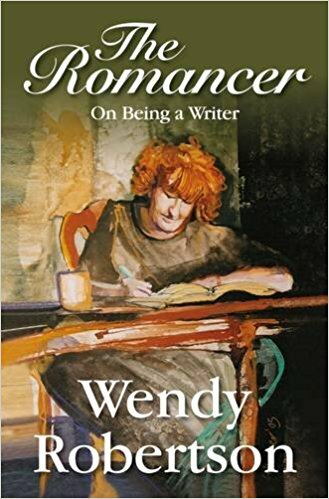 Wendy Robertson Life Twice Tasted: Perpetual Brainstorms and Creating a Novel from the Inside Out. Perpetual Brainstorms and Creating a Novel from the Inside Out. Creating something - whether it’s a story or novel, a poem or even a painting - involves creativity not just at the beginning but at every stage. For this writer the perpetual brainstorm that is daily life blossoms with dozens of emerging ideas, any of which could grow into a new novel, new short story or – more rarely for me, but sometimes - a poem. My method is to distil the wild chaos of these ideas into the roughest of lists generated by the brainstorm invading my subconscious. Then I give some attention to what we all – writers and non-writers - know best - context. Everyone lives through time through time whether there lifespan is 10 years, 70 years, or 110 years. This is the way a thousand stories have emerged into modern life - great mythic poems like Ovid’s Metamorphosis, and the creation myths and fairy tales from every community across the world which all go to illuminate our common human ground. Then we have the gifted people who consciously address this human miracle and create story magic that crosses across national boundaries - people such as Lewis Carroll and Hans Andersen, and poets like Ted Hughs and Seamus Heaney. And the more numerous singers who create lyrics, poets who create poems, writers who create short stories and novelists who create their novels. In the case of this story-teller - this point is where my own unique novel starts to evolve: I home in on a certain person in my people-scape, a place in my landscape, a stage in a certain lifespan: all these things crystallise my starting point and I feel able to begin to write. This convoluted process could take an hour, a day, or a year or indeed a lifetime - even while you are doing something quite else - such as working on the earlier novel or story. But you do know the point when you need to start writing this particular story. After that - as my writing friend Avril Joy http://www.avriljoy.com/ and I always say - you must trust the writing. Don’t abandon the creativity when you actually start writing; don’t hamper the writing with fail-safe planning, or vain attempts at audience- or market-pleasing. As you write, be sensitive to the surprises and insights arise on the page in your writing: characters who take their turn at centre stage until one of them demands a permanent place at the centre; you give them names and perhaps change the names if they’re not happy with them. The form of your story will begin to emerge. I firmly believe that form always follows inspiration. Your story starts here and takes shape as you write. From time to time you start to look at where you’ve been in your narrative and you begin to get the sense of where you might be going. finally arrive at a body of work that just could be your novel. This is the point where you need a splurge of another kind creativity. First you need to edit the body of your prose into its best literary heart possible. Choice of absolutely the right word in the right place. (Every word a bullet !) The most illuminating metaphorical inferences. The music of the language. The virtue of this creative editing to the best possible prose we need to take got this is a central and important point. We need to take this stage for granted: the writing itself has got to be good. The need to import a sense of shape to help mould the form of your novel is a creative task in itself. You need to ask yourself some questions. 1. 1 What seems to have emerged as the main strand of meanings in your novel? 2. 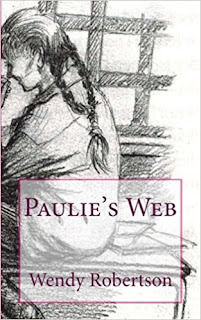 What is the journey, the arc of change, in the characters you have created within this novel? 3. Are here underlying themes that have emerged in the writing – that have kind of snuck up on you? 5. Will your readers trust your storytelling to read to the end? In my new novel Lifespan: a World for Alice my focus is on the years between 1941 and 1951 in the lives (it turns out) of seven very vivid people. Clearly the point of visceral and metaphoric connection throughout the novel is very important so that it moves smoothly forward. It needs to be more transparent than its multi-layered structure i might imply. It needs to be smooth and well formed to hook itself into the reader’s mind to become part of his or her own imagination. I am quite happy to say that I’m just about at this stage with A World For Alice. This manuscript has now been drafted; edited in transcription from my pen and ink written draft and edited. Now it's needs to be shaped into a recognisable, functional novel which will make sense to the reader. I completes a whole swathe of editing on the screen but then my mind began to scream for a more graphic tool to facilitate this shaping process. So, I print the whole novel. It's now in about its eighth draft. I print off all the pages. Now what I have is a fairly practical task. I have to deal with the matrix of all my characters living their diverse lives through these years and make it a coherent whole. I consider a method described once by the very original Beryl Bainbridge’s. It seems at this point she would print off the whole manuscript and put each chapter separately on a step of her stairs. Then she could arrange and rearrange the order of the chapters perhaps inserting new material until the sequence and the story worked on every level. I am quite attracted to what sounds like a very practical approach but doubt whether the order would survive in this very inhabited house with people running up and down the stairs several times a day. So I decide to use Post It notes and stick them on a board in order. 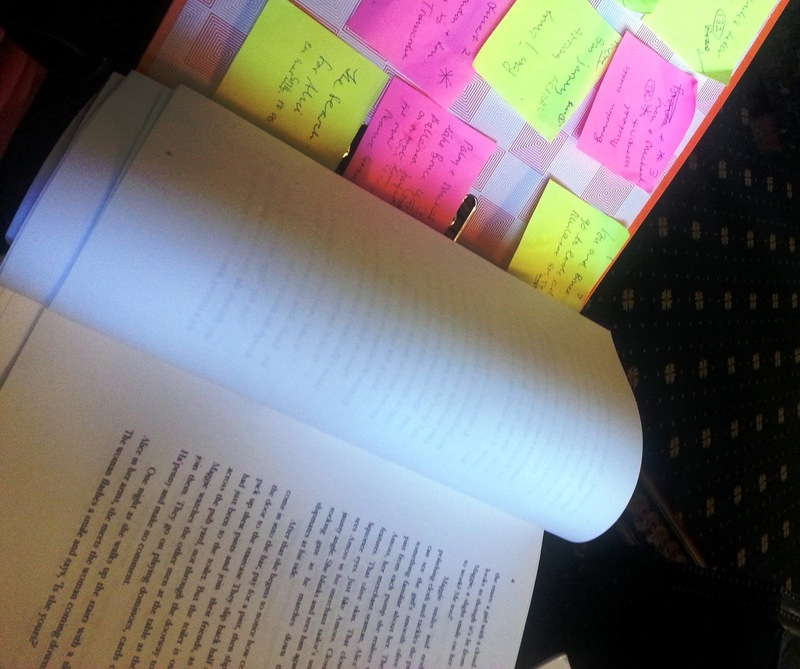 Each chapter has its own Post-it Note, colour-coded in relation to which character’s narrative predominates that particular chapter. I put these in vertical lines in a kind of order that I can change around as I re-consider sequencing and shaping. I can write new material to help with this shaping. I am very pleased with first stage this but then overnight the Post-it notes collapse into a sticky pile on my work table and make no sense at all. In desperation I find some stickier coloured labels which I can still move around at will, facilitate my effort to make the whole novel smooth and coherent. This method seems to work. 70,000 words. A good first lifespan in my trilogy. Just needs a bit more polishing. And a bit more. It seems to be working so far. I hope my readers will like A World for Alice. No. I hope they love it.